Main.TrailIndexPage It is possible to use a sedan M130 engine in a 280SL but when doing so one must change the support arms otherwise the engine will sit about 1/2 inch to high. Although the hood can be closed with such a higher sitting engine, the first time one drives over a bump it will hit the hood and dent it! 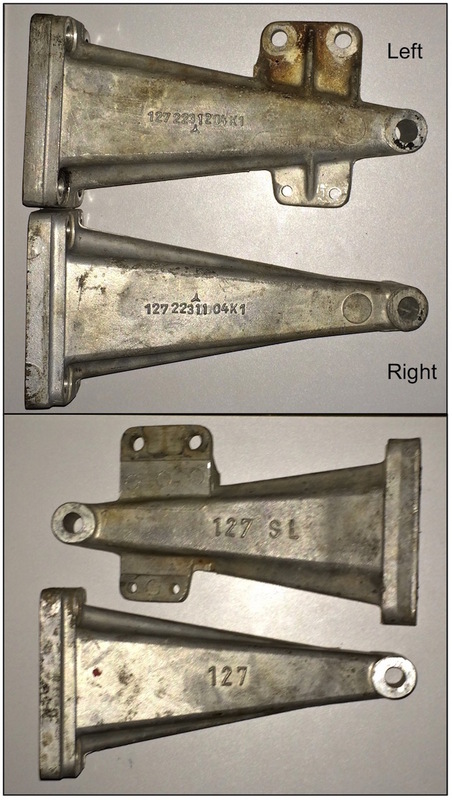 The correct engine support arms have the part numbers 127 223 1104 (right arm) and 127 223 1204 (left arm).